This is a question usually asked after deciding to switch to solar. However, deciding to switch to solar is not an easy undertaking as any homeowner or business needs to conduct a research and get information that will enable them to make an informed decision. Are solar panels worth it? is a common question asked by many people before switching to solar. This question is answered in this blog and you can click here to find out whether switching to solar is worth it or not? So, how many solar panels do I need? This is another common question asked by a homeowner or business that wants to know how much it would cost them to switch to solar. When you know how many solar panels your home or business require; it helps to understand your solar panel cost and the savings you will generate with your solar panels over the life span of your solar power system. The life span of solar panel system is usually between 20 to 25 years depending on its quality and brand. The energy requirements of your home or business i.e. how much energy your home or business consumes? The location of your site. Available space to place your solar panels. Availability of capital to purchase your solar panels system. The first step to determining how many solar panels you need is to determine how much electricity you are consuming in annual basis in kWh (your annual kWh consumption). This is easy to find out as you can contact your utility company to provide you with this information. Once this information is obtained, you want to check whether you can reduce any energy wastage in your home or business by pinpointing areas of energy improvement. This is also known “energy efficiency” for example switching from Incandescent lamps to light-emitting diode (LED) helps to reduce your home energy as incandescent lamps are often considered the least energy efficient type of electric lighting commonly found in homes according to U.S. Department of Energy. Implementing these energy efficiency measures will help you reduce your electrical load and thus help you to reduce the number of solar panels required to power your home or business. The second step is to determine how much sunshine your roof obtains annually? Is this sunshine enough to generate solar energy for your home or business? This is not a straightforward question as the amount of sunshine hitting your roof is dependent on the specific physical features of your building such as shading, slope and orientation and tilt of your solar panels system as well as the geographic location of your site. For example, if there are trees blocking your roof from the sunlight, this will definitely reduce the amount of solar energy that you can generate from your solar panels. This process of determining how much sun your roof is receiving and how much of that is available to produce solar energy for your home was a complex one, until recently when companies such as Geostellar discovered an online solar energy system that applies big-data geometrics and historical weather data to compute precise solar energy resource as well as calculate how much sun a rooftop gets at any particular time of the year. 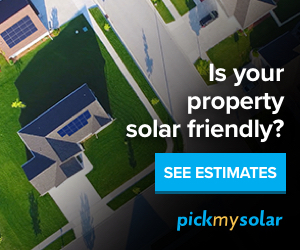 This is a key factor to help determine costs of your solar panels. Google also has a similar energy systems that work like the EnergySage solar energy system called Google Project Sunroof which is currently at a pilot stage and only covers homes in the San Francisco Bay Area; Fresno, California; and Boston, but will provide nationwide services once the pilot project is completed. These new solar energy systems only require you to type your home or business address and provide you with your solar energy potential, the size of your solar panels system and how much you can save with solar energy. Learn more here and find out how much sun is hitting your roof and how much solar energy you can generate from your roof. The amount of roofing space will also tell you how many solar panels you need to switch to solar. Your roof space determines, how many solar panels you require as well as the size of the panels. In some cases, it is possible to switch to solar even without the need of a roofing space. Solar companies like Yeloha are providing solar sharing services in New York, Massachusetts and Vermont where residents living in Apartments or businesses residing in Skyscrapers without roofing space can finally switch to solar by purchasing solar energy in someone’s else roof. Learn more here to find out how you can switch to solar even without a roofing space, especially if you live in apartment located in New York, Massachusetts or Vermont. The number of solar panels you require for your business or home will also depend on access to capital. Obtaining capital for your solar system is simple nowadays because you can finance your solar panels system with even no money down. Also you can obtain capital in the form of cash, loan, solar lease or solar power purchase agreements (PPA). Learn more here about solar panel financing. The EnergySage online solar energy system apart from telling you how much sun your roof receives at any time in a year and how much roofing space you have, it provides you with the financing options, including the zero out of pocket financing which makes it simple to switch to solar. It also provides you with government incentives, including Investment Tax Credit (30%) and State rebates that will eventually help to reduce further your capital needs for your solar panels. In addition, it provides a comprehensive list of certified or licensed solar contractors and solar energy plans that are suitable and at the best market rates. Learn more here and start the process of switching to solar PV by just typing your address. My husband and I are really interested in getting a solar panel system so that we can reduce the amount of energy that our home requires us to use. However, we have no idea how many panels that we will need. I understand that we will need to find out what our annual kWh consumption is, but how exactly do we calculate how many panels we will need from there? What I am really asking, I guess, is whether or not there is an equation that I could follow. Hello Faylinn, thank you for your comment. I would say, determining how many solar panels you need is tied to many factors including your roof space, orientation of your roof to the sun, and whether there is any shading. Trying to calculate this without an actual assessment of your roof, you will make many assumptions. However, nowadays there are online tools that you could use and can provide you with a better estimate of how many solar panels you need, even without a professional solar expert having to visit your home to make the actual assessment. This tool uses google maps and data from other databases (including data about sunshine, humidity and other weather data for your location) as well as your physical features of your building to answer some of the questions you may have such as how much solar energy your home is capable of producing, how many panels you require which I would say; the number of solar panels is directly proportional to the amount of sun that is hitting your roof. Today there are a few tools that are able to tell you how much sun is hitting your roof. One of these tools is the Geostellar solar energy system. To use this system,all you need to do is input your address. Click this link: https://geostellar.com/go/USKE to start this process. Please let me know if you need any help. I hope this will be helpful. Thanks again for your comment. Thank you for your positive comments and I glad that you found the information on this blog useful for your case. You can also get personalized solar reports here (https://geostellar.com/go/USKE) that will help you make a more informed decision about going solar. When you type your address here you will be provided with the information you may want to know such as how many solar panels you need to go solar,how much you can save with solar and financing options available to help you go solar. Let us know if you need any other information. Thanks again for visiting this blog. This is really informative post for me. I am planning to install panels on my roof and I am searching for some useful information and I think I got that. Now I am going to install solar panels as soon as possible. Hey Richard thank you for visiting this blog and for the decision to switch to solar. Also, I am glad to know that you have found this blog informative. In case you have any questions about going solar,let us know. You can email us at support@switchingtosolarpv.com. I look forward to the completion of Google Project Sunroof. It would be nice to be able to find out how much solar panels would benefit me. I mean, I have thought about getting solar panels a lot lately, but I really want to know how much they will help before I make the leap. Hello James, thanks for your comment. Yes, I am also looking forward to finalization of Google Project Sunroof and it will be great to use this tool and share it around in this blog. For now you can try other online solar tools listed here: For more details, please see http://switchingtosolarpv.com/online-solar-tools/ In this page I have reviewed online solar tools like Goolge Project Sunroof. Let me know what you think and please sign up to get your free ebook about how to shop for solar panels.